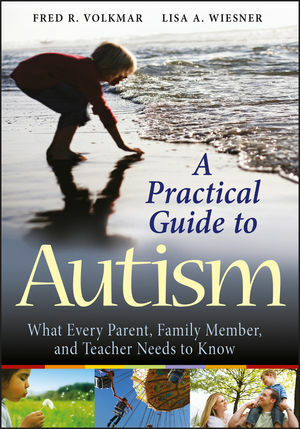 Autism is in the public spotlight now more than ever as new research and information appears almost daily. Although in many ways this is a positive development it also presents challenges to families and practitioners who want to keep up with the latest developments and are left to sift through new information by themselves to see what is credible and relevant for them.Each of us needs a personal research assistant who can determine which information we need to pay attention to and let us know how it might affect our daily work and the children we are living with or serve. Since we each don’t have our own research assistants on staff, I am delighted to recommend this wonderful book by Fred Volkmar and Lisa Wiesner. Both of these talented professional leaders have combined their scientific skills and understanding of the field with great practical experience and ideas about how research can be translated into clinical practice. The result is a book that provides the best and most comprehensive information about recent scientific developments and a splendid practical guide for how they are being implemented and what we are learning in the process. The issues are presented in all of their complexity but translated into language that is clear, direct, and easy to follow. The format also lends itself to understanding the complex issues and their implications through excellent charts, question and answer sections, and chapters that vary from describing diagnostic issues to stating very specifically how to expand and evaluate the services one is receiving. The comprehensive references and lists of additional resources also add greatly to the overall package. As a professional dedicated to understanding scientific advances and helping families and teachers to utilize them most effectively, I am very pleased to have an ally like this book available. I am very grateful to the authors for providing a very credible, practical, and relevant addition to our field to help the many advocates and family practitioners to better understand the exciting new developments and how they can be implemented in our day to day work. Those taking the time to read through this superb volume will find it time well spent that pays back dividends in many different ways. FRED R. VOLKMAR, MD, is the Director of the Yale Child Study Center and coauthor of the Handbook of Autism and Pervasive Developmental Disorders, Third Edition, published by Wiley. LISA A. WIESNER, MD, is a pediatrician in private practice in Orange, Connecticut.?? She is an assistant clinical professor of pediatrics at Yale who has research experience with autism.